G.I. Joe Jeep 1:6 Scale RC Willy’s Roll Cage RCP Crawlers custom built roll cage welded by Mattzilla for RCP. Welded 1/4 and 3/16 inch steel rod. Ready to be installed in a 1:6 scale 2001-2003 Hasbro G.I. Joe Willy’s Jeep with six mounting points using 3mm hardware (not included). Powder Coated a luster black. Weighs just over 1 lb. The G.I. 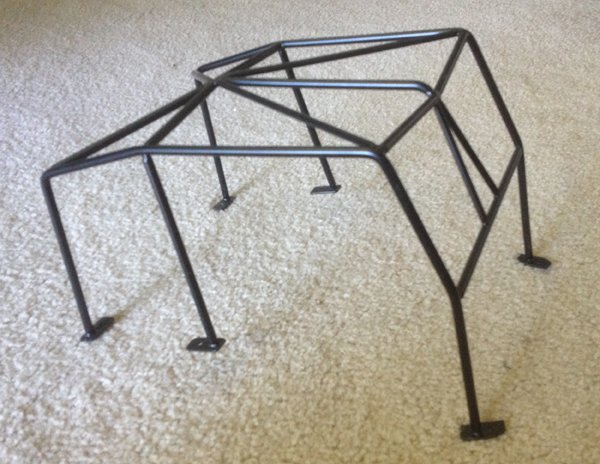 Joe Jeep roll cages were designed by Rich Boltz for RCP Crawlers.